We are thrilled to announce that the attorneys at Olsman MacKenzie & Wallace have been regionally ranked in 2 practice areas and named among America’s “Best Law Firms” by U.S. News & World Report. We were given a First-Tier ranking for both Medical Malpractice Law – Plaintiffs and Personal Injury Litigation – Plaintiffs. The U.S. News – Best Lawyers® “Best Law Firms” rankings are based on a rigorous evaluation process. 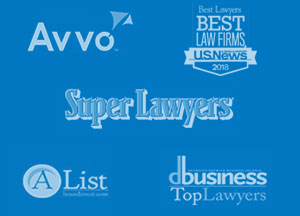 The U.S. News – Best Lawyers “Best Law Firms” rankings are based on a rigorous evaluation process that includes the collection of client and lawyer evaluations, peer review from leading attorneys in their field, and review of additional information provided by law firms as part of the formal submission process. To be eligible for a ranking in a particular practice area and metro region, a law firm must have at least one lawyer who is currently recognized in Best Lawyers in that particular practice area and metro. As Michigan personal injury lawyers, we represent clients across Michigan who have been injured, and the families of those who have been killed, as a result of car, truck, and motorcycle accidents, other accidents, nursing home negligence, pedestrian accidents, defective products, medical malpractice, premises liability, dog bites, workplace injuries, and police brutality. We also represent those harmed by employment discrimination and harassment, financial scams, and financial professional malpractice, as well as those who have been improperly denied social security benefits. Since our foundation in 1969, we have had a long history of successfully helping those injured, and the families who have lost a loved one, recover full and fair compensation. Olsman MacKenzie & Wallace, P.C. is the successor firm to a workers’ compensation/personal injury law firm founded by Arthur S. Woll, Fred Jasmer and Robert Kozlow in 1969. The firm was originally located in the historic Guardian Building in downtown Detroit. Its primary practice was representation of injured workers many of whom were employed by the Big Three automotive manufacturers. In the 1970s, the firm relocated to the Travelers Tower in Southfield. Many attorneys worked there over time including Joseph Lobb, Steven Weiss, Shoms Alli, James Murphy, William Stern, Sandra Ganos and David Blake. Jules Olsman was hired as a new lawyer in 1978. He had extensive experience as a law clerk while attending the Detroit College of Law having worked for three prominent law firms. He also worked in federal court for U.S. Magistrate Paul Komives. In 1979, the firm became involved in the Agent Orange litigation, a class action arising out of the use of a defoliant spray during the Vietnam War which resulted in horrific physical harm and injury to American soldiers. The case, which was filed in U.S. District Court in Brooklyn, New York, resulted in one of the most substantial personal injury settlements in history at that time, $180,000,000. The law firm’s practice continued to grow in the area of product liability and medical malpractice. 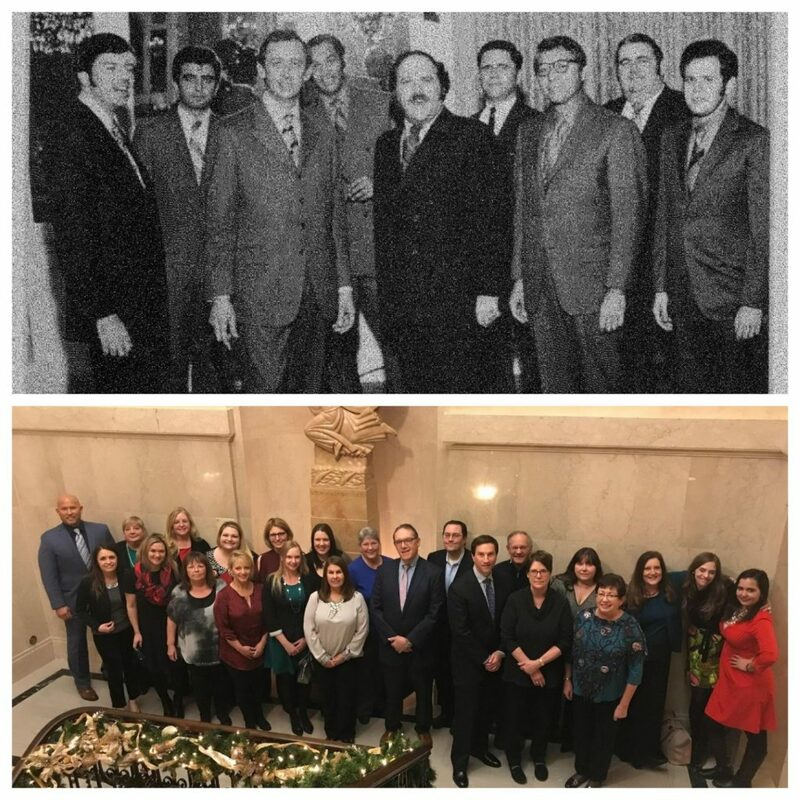 In the mid-1980s, Sandra Ganos and Patrick Nolan, both classmates of Jules Olsman in law school, became associated with the firm which then became Woll, Crowley, Berman, Olsman & Nolan, P.C. In 1987, the firm moved to Royal Oak. In the mid-1980s, we were asked to handle a nursing home case on behalf of an elderly individual who developed a massive pressure ulcer. That one case led to an extensive practice in long-term care litigation spanning over 30 years to date. Wolfgang Mueller, an engineer and a lawyer, joined the law firm in 1993 and focused his practice on product liability involving motor vehicle defects. The firm handled multiple child airbag cases arising out of the introduction of passenger side airbags in minivans during the early 1990s. Later on, Mr. Mueller distinguished himself as an outstanding advocate for individuals injured or wrongfully imprisoned as a result of police misconduct. He remains of counsel to our firm. In 1996, the firm name was Olsman, Ganos & Mueller. In 1998, Randy Wallace joined the law firm following graduation from Wayne State University Law School. The law firm at that time was heavily involved in product liability litigation involving three- and four-wheel ATVs as well as catastrophic injuries sustained by children during the deployment of passenger-side airbag cases in minivans and other motor vehicles. The firm was involved in numerous cases throughout the United States involving this dangerous consumer product. In 2001, the firm moved to its current location on West Eleven Mile Road in Berkley. We have had offices in Lapeer since 1979 and Battle Creek since 1983. In 2004, Donna MacKenzie joined the law firm upon her graduation with distinction from Wayne State University Law School. Ms. MacKenzie has gone on to significant professional involvement. She was recognized by Crain’s as one of Michigan’s Most Notable Women Lawyers and recognized in Michigan Lawyers Weekly Leader in the Law Class of 2017. She was also awarded the American Association for Justice’s F. Scott Baldwin Award and was an Athena Leadership Award Nominee. In 2018, she will serve as the 100th president of the Michigan Women Lawyers Association. She is also currently secretary of the Michigan Association for Justice, a member of the Negligence Law Section Council, and treasurer of the American Association for Justice Nursing Home Litigation Group. Emily Peacock joined the firm in 2015, with over 10 years of experience at two of Michigan’s most successful defense firms. As a result, she offers the firm a unique perspective in litigating cases involving medical malpractice or negligent acts at hospitals, adult foster care homes, senior living facilities, and nursing homes. In 2017, Ms. Peacock was recognized as one of Michigan Lawyers Weekly’s Women in the Law. Ms. Peacock is a founding member of the Michigan Association for Justice’s Women Trial Lawyers Caucus and also serves on the executive board of the American Association for Justice. Olsman MacKenzie & Wallace, P.C. has continued its support of the civil justice system in Michigan and throughout the United States. The firm strongly supports the Michigan Association for Justice, the American Association for Justice as well as the Negligence Law Section of the State Bar. Jules Olsman has served as an adjunct professor at Michigan State University College of Law teaching medical malpractice litigation. He is a past president of the Michigan Association for Justice, a past chair of the State Bar Negligence Law Section and a member of the State Bar Board of Commissioners. In 2017, he was awarded the Champion of Justice Award by MAJ and the Most Respected Advocate Award by the Michigan Defense Trial Council. Olsman MacKenzie & Wallace is now in its 50th year of practice. We remain committed to the protection of consumers, patients and the elderly through the effective use of the civil justice system and the right to trial by jury. These were the protections that were built into the Constitution and Bill of Rights to protect the most vulnerable of our citizens. The firm continues its practice of medical malpractice, nursing home abuse, and motor vehicle accident cases and police misconduct. We are proud of the fact that our business is built upon trusted referrals from other lawyers because of our experience, knowledge and reputation. In fact, approximately 90% of the clients that we meet are referred to us by other lawyers. We sincerely appreciate the honor of their reviews to U.S. News for Best Law Firms.